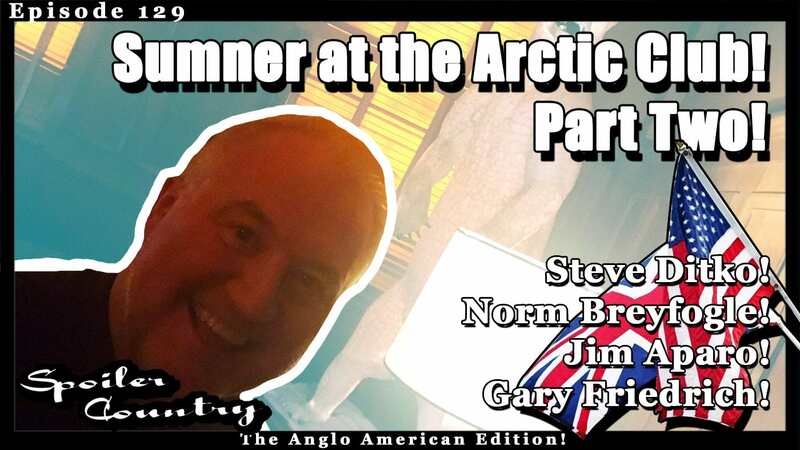 Sumner at the Arctic Club Part Two! Steve Ditko! Norm Breyfogle! Jim Aparo! Gary Friedrich! Here is the second part to our epic conversation with the one and only Sumner! Hanging out at the historic Arctic Club in downtown Seattle! Listen to us talk about comic book legends Steve Ditko, Norm Breyfogle, Jim Aparo and Gary Friedrich! As always Sumner brings a certain level of class to our show that we wouldn’t have without him! Until next time! Be sure to check out Titan! ← Sumner at the Arctic Club Part One! Doctor Who! Shades of Magic! Spider-Man Into the Spider-Verse!